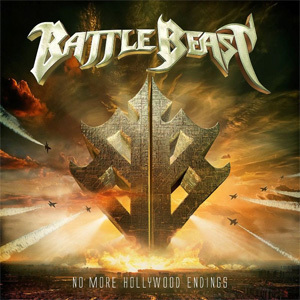 Finnish heavy metal sextet BATTLE BEAST unleash their studio album No More Hollywood Endings today through Nuclear Blast Records. To mark the occasion, the group has unveiled a brand new music video for the track “Endless Summer”, which was once again directed by Markus Nieminen and produced by Oy Routafilmi AB. Watch now on KNAC.COM HERE . Keyboardist Janne Björkroth states, ""Endless Summer" brings a little bit of sunshine to the album. It's a light-hearted summer song which takes us on a nostalgic trip, back to a carefree summer some years ago. We recommend for this song to be used when driving on a sunny day. Put the radio on, roll the window down and let the wind blow through your hair." The tracks from No More Hollywood Endings will be presented on an extensive world tour cycle. The first leg, Europe, kicked off in Helsinki, Finland, and will lead the band all across the Continent, including a stop at Delta Metal Meeting (Mannheim, D) among others. Support comes from their fellow countrymen ARION.